On Monday and Tuesday of this week, I found myself in Brussels in a beautiful Palace. I was at a conference about public participation, and went to a presentation of a very interesting project called World Wide Views on Climate Change and Energy. The project as the name suggests involved a kind of world wide survey, involving 10 000 people and covering a large portion of the globe. It involved 97 day long debates spread over 76 countries, just to give you an idea, and the incredible thing is that they all happened on the same day. Not only that, but the results were uploaded live, and so could all be seen as they happened, a bit like the Eurovision Song Contest but without Terry Wogan. The conference was not really about the results of the project, but the methodology and how it was actually conducted. The system has been used twice before, and was designed by the Danish Board of Technology and a host of other National and International organizations. The UN Framework Convention on Climate Change were one of the initiators, so as you can see it was a large project. The results are aimed at providing policy-makers with world views. The participants were selected in order to represent the make up of each individual country and gathered for a day long experience. They were all shown the same videos, presented with the same written materials and asked the same questions. Democratic debate and deliberation are central to the project, and it looks like an interesting use of the web to me. Obviously you can pick holes in the methodology if you wish, how representative can 10 000 people be? But I don’t think that was the point of the exercise. It is a large scale global survey of how people feel about climate change and energy transition, and the fact that countries and areas can be compared, as well as other groups taken across the globe, is a really interesting development. The results are all posted on the website, find them here, there are also user friendly analysis tools for anyone to use. In the report however an analysis has been done of some of the findings. As a brief outline, we can say that citizens want their governments to act, that action should be on the basis of the individual county’s emissions and wealth, and the private sector should participate. 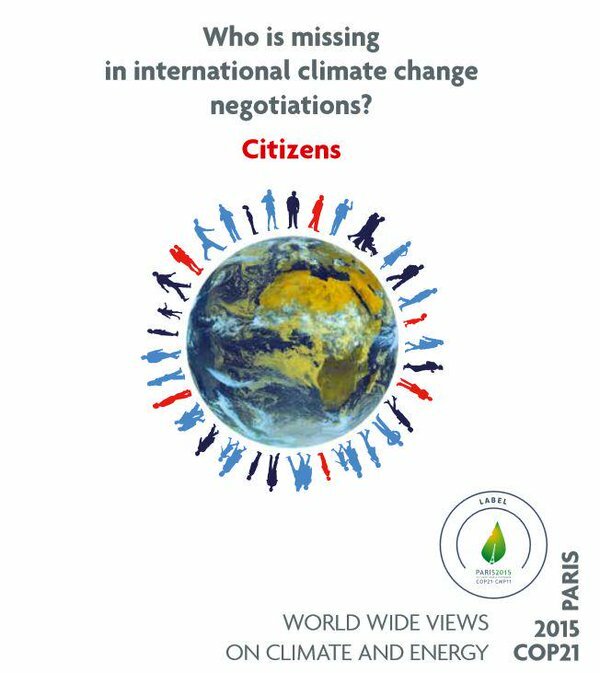 Citizens are also expected to take part in decision-making and to participate in the process of lowering emissions. This is an interesting project, and if you have time I highly recommend a look at the website and a play with the figures.